Do you need some professional help from a local handyman in Stanmore? If the answer is "yes", then you are in the right place. Especially, if you want outstanding services at affordable price rates in HA7. All craftsmen we hire are multi-skilled and professionally vetted. Most of them have more than ten years in the home improvement business so you can be sure your property will be in good hands! We offer quality services at reasonable prices. No hidden fees, our system is clear. Our handy team comes equipped with the most modern tools. Insured Service Evert Stanmore handyman carries public liability insurance. Trustworthy Handymen Every handyman Stanmore is a skilled expert you can rely on. No Distance Surcharge No additional fees. No Job Is Too Big Or Too Small We tackle every task with expertise! 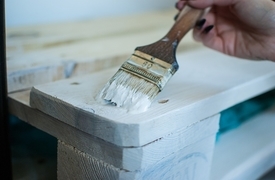 Give your property a brand new & fresh look. 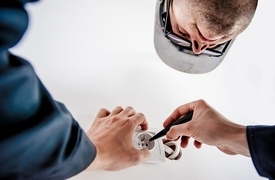 You can absolutely rely on the team's expert knowledge when dealing with electricity. You can count on us for any type of plumbing repairs. We can expertly fit & lay any type of flooring.